"I only ask to be free. The butterflies are free. Mankind will surely not deny to Harold Skimpole what it concedes to the butterflies." The butterflies at Biocentro Güembe Mariposario Resort in Santa Cruz, Bolivia aren't free, literally. They are either pinned to the display board in the museum or fluttering about in a butterfly dome. 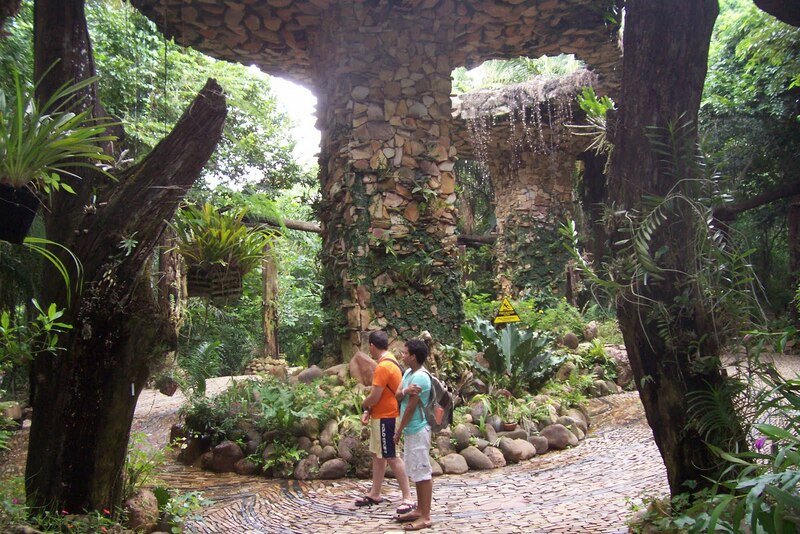 The Mariposario, as the locals call the place, is a nature park located 25 minutes out of Santa Cruz. The road to the park starts on paved road, turning off to a dirt and gravel (like a rural concession) road. The park is comprised of the butterfly museum and sanctuary, bird observatory, orchid exhibition, swimming pools, nature trails, bungalows and cottages, restaurants - a gentrified nature paradise. According to the staff at the Camino Real Hotel, the park is the best attraction in Santa Cruz. I have to agree, and may I add, probably one of the best nature parks I've come across anywhere in my travels. 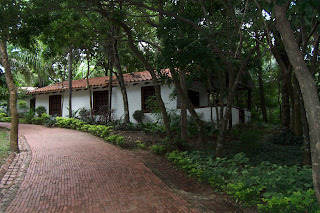 At the park entrance, I was greeted by a collection of small concrete and wood buildings housing the butterfly museum. Walking on the nature trails with my tour to the butterfly dome and the bird observatory, I started to feel a little "jungle" in the air. From the 60 m observation deck of the butterfly dome and aviary, one can see thick jungle stretching to the wide Rio Pirai and beyond. Santa Cruz is in the Amazon savannah, not quite but a few hundred kilometres from the Amazon jungle. However, the hot, humid air, the jungle, the wide river gave me a foretaste of what could be out there. Further on the trail, our little group came to the orchidarium, the monkey island, and thick forest growth of exotic trees and plants. It was like the garden of Eden tended by expert horticulturists, botanists, naturalists and gardeners. The most awesome sight was the series of nature inspired swimming pools. They were not your ordinary backyard or olympic style swimming pools. 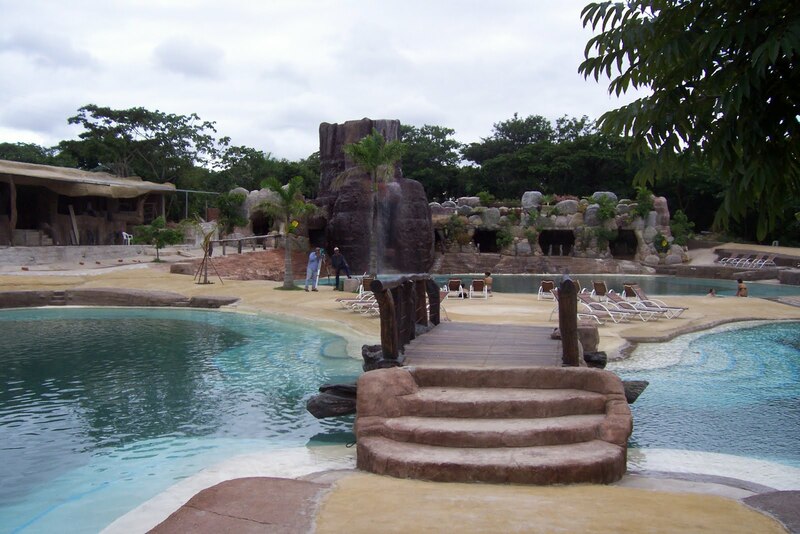 I think they were carved out of sandstone with smooth rocks, boulders, and a waterfall feeding the pools - a chlorinated version of a jungle watering hole. Biocentro Güembe is one place I wish I had more time. Perhaps, a few nights in one of the bungalows at the Mariposario Resort could complete an amazing experience, next time.